For Bob Bryan and Mike Bryan, this must feel more like it. During the first three months of the season, the all-time great doubles team failed to win an ATP World Tour title. At the Delray Beach final in February, the team lost all six championship points. But on Sunday, the Americans grabbed their second title of April, beating Pablo Cuevas of Uruguay and Marcel Granollers of Spain 7-5, 7-5 at Barcelona. 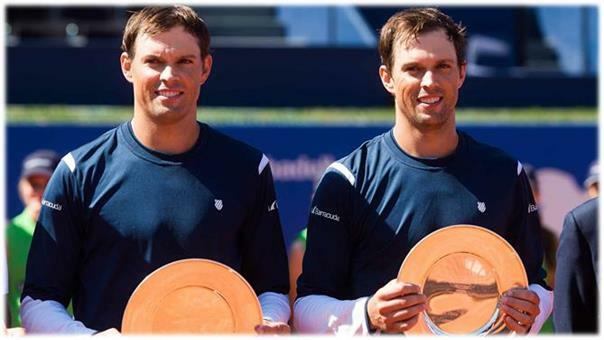 The Bryans, who won the U.S. Men's Clay Court Championship in Houston two weeks ago, now have won 111 titles, including 3 in Barcelona. The future Hall of Famers are 19-3 in the Spanish city. "We feel like we're starting to play some really great tennis again. This week we put together four quality matches against some really tough teams," Mike Bryan said. "It was a hard-fought match against two experienced clay court players," Bob Bryan said.